Aim To determine the prevalence of American College of Rheumatology (ACR) and Systemic Lupus International Collaborating Clinics (SLICC) classification criteria among systemic lupus erythematosus (SLE) patients; to determine disease activity and severity; and to investigate the correlation of classification criteria with disease activity, and of disease activity and damage index with disease duration. 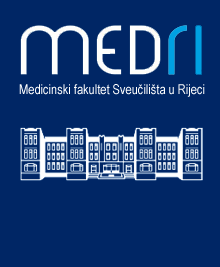 Methods We performed a cross-sectional study on 110 SLE patients from the Division of Rheumatology and Clinical Immunology, University Hospital Centre Rijeka, Croatia in the period from September to December 2013 and determined disease duration and the total number of ACR and SLICC classification criteria. Disease activity was assessed by Systemic Lupus Erythematosus Disease Activity Index (SLEDAI) index and organ damage by Systemic Lupus International Collaborating Clinics/American College of Rheumatology (SLICC/ACR) damage index. Results The number of SLICC classification criteria met per patient was significantly higher than the number of ACR criteria (7 [IQR 6-8] vs 5 [IQR 4-6], P < 0.001). Moderate correlations were detected between the number of SLICC classification criteria and disease activity index, both in case of active (r = 0.48, P = 0.003) and inactive disease (r = 0.43, P < 0.001). We neither found a correlation between the number of ACR criteria and disease activity nor between disease activity and disease duration. However, there was a good correlation between SLICC/ACR damage index and disease duration (r = 0.63, P < 0.001). Conclusion New SLICC classification criteria correlate with disease activity because they capture more manifestations also included in the SLEDAI index. Patients with longer disease duration had a larger damage index score.